We have a special guest post today from Coalition for Asian American Children and Families (CACF) volunteer and our friend, Jeffrey Wan. Despite a busy career consisting of professional poker playing, equities trading, derivatives market-making, tennis-coaching, and, most currently, startup work, Wan make time to volunteer for organizations like CACF that he feels strongly about. He graduated from Amherst College in 2008 and has since made New York City his home. He hopes to make it a more enjoyable place for its residents and to meet people interested in the work of CACF and looking to better utilize their free time. Looking for a comedy-filled happy hour to breakup your workweek? Want to do your weekly good deed and support a non-profit at the same time?? 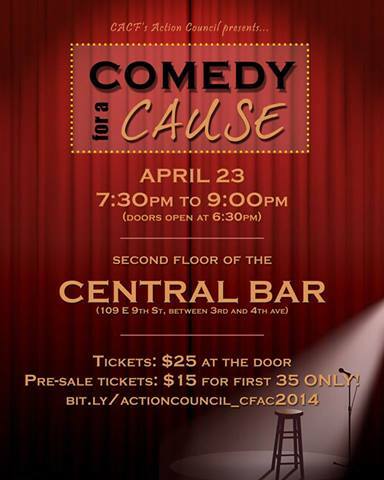 Come to Comedy for a Cause this Wednesday, 4/23, at 630pm at Central Bar! We have a great lineup of professional comedians including the Taiwanese Texan Sheng Wang. Better yet, we have $4 drafts all night! Tickets are $20 at the door and all proceeds go towards the CACF. 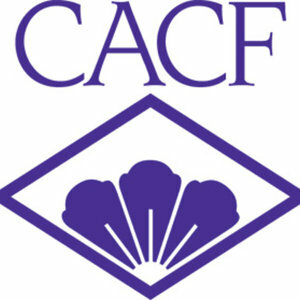 The CACF, the Coalition for Asian American Children and Families, advocates on behalf of Asian Americans and aims to improve the health and education status of children and families. The organization specifically challenges the “model minority” stereotype and makes it known that the Asian American community struggles with poverty and limited English skills. The CACF tries to ensure that Asian American children grow up healthy, safe, and educated by participating in legislative visits, hearings, press conferences, budget visits, advisory committees, policy statements, and campaigns. Come out and have a great night and support us! What: Comedy show featuring Sachi Ezura, Joel Kim Booster, Nhan Du, Subhah Agarwal, and Sheng Wang! Cost: $15 presale, $25 at the door. Only 5 tickets left! Happy Hour: $4 drafts beers and great food at the bar! Do you have a cause you feel passionate about? Team up with SquadUP to rally support through an awesome event. Comment or tweet @squadup.